Since Friday all I’ve heard about are the actions of a fearful man. I don’t to want hear about that any more. I want to hear the voices of 30,000 striking school children marching down Collins Street on Friday morning. I want to hear them calling on us to wake up and share our planet with all living things. I want to hear about the life-saving friendships formed in an Immigration Detention Centre that have manifested into Tamil Feasts. 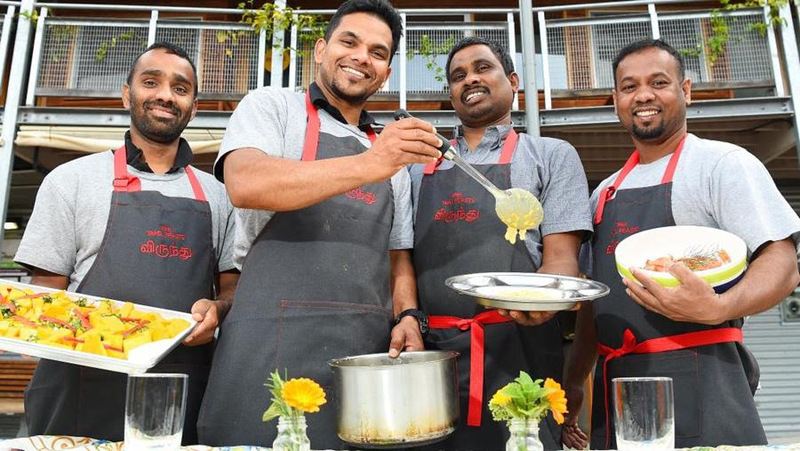 I want to hear Tamil cook, Nirma, tell me that he, Niro, Nigethon, Sri and Richmond have now shared their food and stories with 43,000 of us. I want to hear Mikey & Kez from Mossy Willow Farm explain how every week 1000 people eat something grown in their tiny market garden. I want to hear how their thoughtfully farmed acre of land provides a living for four people. These are the hopeful, resilient and fiercely generous stories that I’m hearing this weekend. Next Saturday is CERES’ biggest day of the year. This CERES Harvest Festival’s focus is on giving thanks, sustainable living skills and celebrating all our food cultures. This year at the Festival there’ll be food and sustainability workshops, the giant veggie growing competition, and food culture performances. 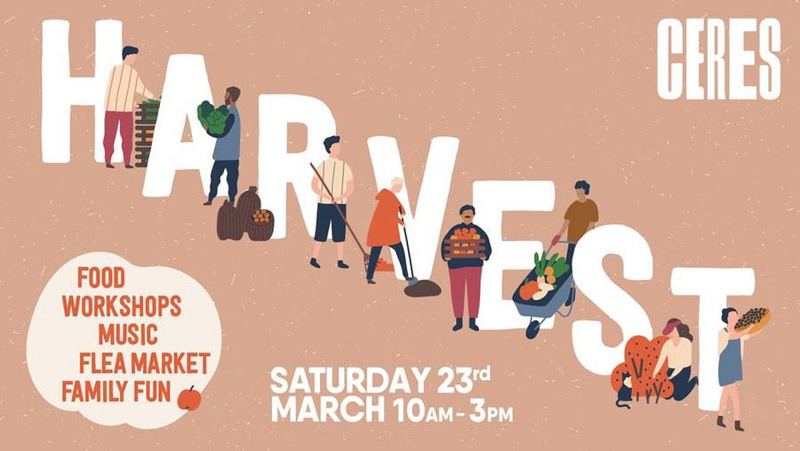 There’ll also be kids’ activities live music food and craft stalls from our most loved local and organic makers and designers. Harvest Festival is CERES’ biggest most joyous day – when we give thanks to the good earth, our farmers and the cycle of the seasons. Entry is $5 and kids are free – all proceeds go towards helping people fall in love with the earth again.